It's been a fine year for Mark Barrott's International Feel with the Jose Padilla album an undoubted centrepiece. 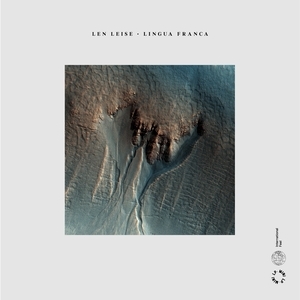 The Ibiza label aren't quite done for the year however, with Lingua Franca from Len Leise marking the onset of a series of mini-album projects from International Feel aimed around a loose concept for artists to "show more of who they are musically without the constraints of the traditional album format." Few had heard of Leise until he was featured on International Feel last year, but the Australian has gone on to score a rather fine record for the like-minded Aficionado operation as well as contribute to that killer Paradise Goulash mix from Prins Thomas. Some seven tracks deep, Lingua Franca finds Leise crafting "an imaginary journey based on real experiences," with Morocco, Spain, Russia, India and Brazil providing the inspiration for the clearly well-travelled musician. Sumptuous Balearica is of course the order of the day, with the occasional dalliance into something a bit more dancefloor appropriate ("O Caminho"), and ensures Lingua Franca is a fine start for a series that promises contributions from Gatto Fritto, CFCF and Wolf Muller.